The average rent price for a property in the UK rose by 0.96% in the year to March, as slow rental growth in London (0.57%) continues to weigh down on otherwise resilient increases (1.16%) in the rest of the UK, according to the latest Rental Index from Landbay. Hotspots for rental growth over the 12 months to March included Edinburgh (5.97%), Nottingham (4.28%) and Blaenau Gwent (3.76%). 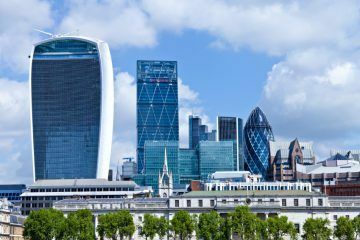 The high growth areas are spread throughout the UK – of the top ten, two counties were in Scotland, three in Wales, two in the East Midlands and three in the rest of England. Looking at the countries individually, Scotland recorded the highest overall annual rental growth, at an average of 1.99%, while Northern Ireland saw the lowest, at just 0.63%. However, Scotland is something of a tale of two cities, home to both the fastest and slowest growing locations. Aberdeen City and Aberdeenshire were at the bottom of the table, due to average declines of 5.59% and 4.31% respectively. Of the other eight in the bottom ten, a further location (Angus, at -0.83%) was in Scotland, while the others were in England. The slowest areas of rental growth in England were Redcar and Cleveland (-1.48%), Kensington and Chelsea (-0.54%), and Bracknell Forest (-0.24%). In London, rental growth is picking up again slightly after last year’s slump. Overall, annual rent price growth stood at an average of 0.57% in March – in the same month of 2018, it was -0.28%. In fact, 17 of the 33 London boroughs saw declining rents last March. A year on, only three boroughs continued to fall – Kensington and Chelsea, Merton (-0.17%), and Enfield (-0.08%). The average rent in the capital is now £1,903, following cumulative rental growth of 9.32% since January 2012. The average rent paid for a property in the UK is now £1,217 per month, or £772 when excluding London. The lowest average rent is found in Northern Ireland (£576), where rents have shown very modest long-term growth. In England, the average price is £1,248. The second most expensive region (after London) is the South East, at £1,064, while the lowest is found in the North East, at £553 – this region has recorded cumulative growth of just 2.08% since January 2012. 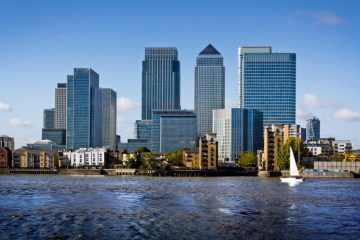 John Goodall, the CEO and Co-Founder of Landbay, comments: “Despite political and economic turmoil, the British property market has remained resilient. Rents are growing at a steady pace, and that growth is not restricted to specific regions or rental brackets.